When Kim Jong Un came to power in 2011, many observers focused on his schooling in Switzerland as a hopeful sign that he would reform North Korea and establish better relations with the West. This hypothesis now appears to have had missed the mark by a fairly wide margin. However, it is little known that Kim Jong Un was not the first of the Kim family dynasty to study abroad. His father Kim Jong Il actually studied English in the former British colony of Malta in the early 1970s. The first confirmed sighting of Kim Jong Il in Malta was in 1973, where he was staying in a private villa apparently built for him by the former Prime Minister of Malta, Dominic Mintoff. During the year he spent there, Kim Jong Il met frequently with Mintoff who presumably taught the future North Korean leader the ins and outs of crafty statesmanship, which characterized the Maltese leader’s political rule. 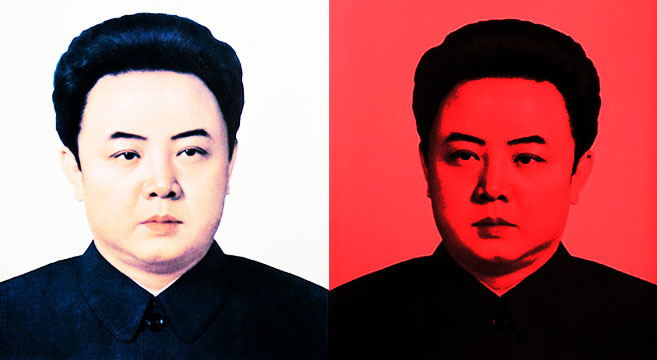 While living in Malta, Kim Jong Il was given English lessons by University of Malta Professor Daniel Massa. Eight North Koreans had arrived, but only one sat with Massa for one-on-one private instruction — situational English during weekly one-hour lessons, with the occasional additional weekly lesson, for one academic year. Not realizing who his new charge was at first, the pieces fell into place after a colleague noticed North Korean security officers stationed outside Massa’s office door and window during lessons. Although Kim Jong Il “worked really hard” on his English skills according to Massa, the portly dictator-to-be tended to become irritable when lessons cut into his lunchtime. The close relationship between a social welfare state located in the Mediterranean Sea and an isolated Stalinist state in East Asia does seem rather unlikely. However, both the island nation’s prime minister, Dom “The Architect” Mintoff, and the Great Leader Kim Il Sung, used each other for their own ends. Mintoff supplied Kim Il Sung with not only language training for his son, but also a new location in which to promote the Juche ideology and curb South Korean influence. 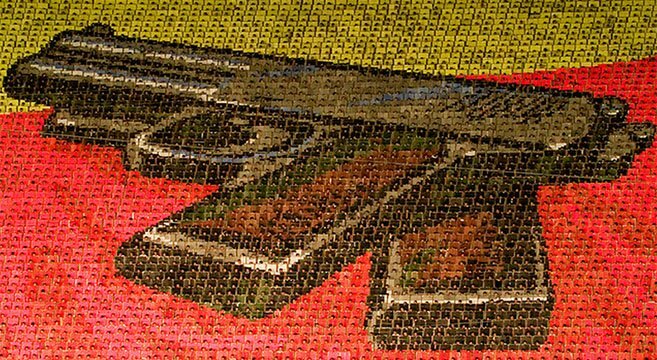 In return, the North Koreans gave Mintoff weapons and military training for his personal security squad. “Mintoff was always interested in using his foreign ‘friends’ than actually fostering friendship for friendship’s sake,” said Michael Falzon, a former government minister who served under two Maltese Nationalist Party (PN) administrations (1987-1992 and 1992-1996). Like Kim Il Sung, Dom Mintoff was a masterful manipulator of the Soviet Union and China. Deviating between close relations with the two communist superpowers, Mintoff was able to use Malta’s unique geographical location in the Mediterranean to his own advantage as he received aid and grants by playing these governments off of one another. Eager to help their staunch Mediterranean supporter, the Chinese put Mintoff in touch with the North Koreans, and in the summer of 1982, Mintoff traveled to Pyongyang to meet Great Leader Kim Il Sung. A North Korean song-and-dance troupe welcomed the Prime Minister by performing — in Maltese — the song of Malta’s Labor Party supporters, “Ma Taghmlu Xejn Mal-Perit Mintoff,” which translates to “You will do nothing with architect Mintoff.” (An architect, Mintoff was dubbed, naturally, “The Architect” during his political career.) This performance of what Falzon described as a “silly song,” is still remembered by many Maltese today, and is often used to poke fun at Mintoff’s controversial legacy. Mintoff’s trip was intended to foster new areas of cooperation between the two countries, and the Maltese delegation was impressed with “immaculately clean” and “well maintained” Pyongyang. “From what I saw, even if selectively chosen by our hosts, I arrived at the conclusion that most of the extreme negative comments regularly made in the western media are prompted by political propaganda,” Joseph Sammut, a Maltese senior civil servant who accompanied Mintoff on his trip to North Korea, told NK News via email. This practicality especially displayed itself when a camera was around, as the large cyst on Kim Il Sung’s neck was instantly noticeable to the Maltese delegation. 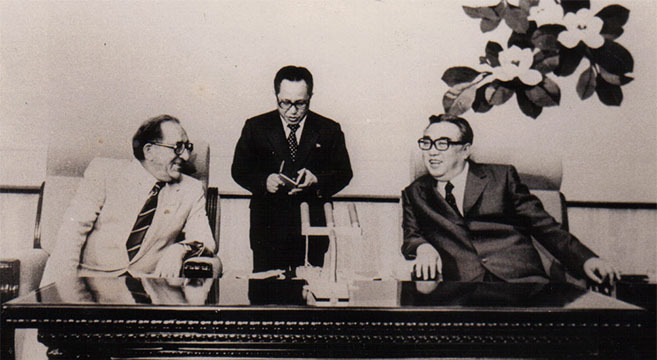 After visiting North Korea, Mintoff obliged his new North Korean friend by closing South Korea’s consulate in 1984, and encouraging the opening of North Korean-inspired factories in Malta. In one instance, Mintoff’s government opened a short-lived factory that manufactured medicines based on Korean ginseng. Like other leaders who established a close relationship with the Kim family regime, Mintoff also began to promote North Korea’s Juche ideology on the island. Maltese translations of the Juche philosophy were published, and a Malta-(North) Korean friendship organization was established. In 1982, a secret military assistance agreement was signed between the DPRK and Mintoff’s Labor Party government, which provided the Maltese armed forces with large quantities of small arms, mortars, and anti-aircraft guns at no cost. Kim Il Sung also sent four specially-trained North Korean military officers to Valletta in order to train Mintoff’s elite military squad, the Special Mobile Unit, which focused on containing social unrest on the island. Still, some doubt the veracity of these reports. Subscribe to read the remaining 1308 words of this article.